Would you like to enhance your brain power without relying on something created in a lab? 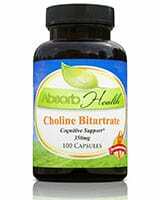 >> Looking to Buy Choline? Click here to see our recommended sellers. Your brain uses glucose to obtain energy and to make acetylcholine, a neurotransmitter that plays an important role in learning and memory. For your brain to work properly, you need a constant supply of glucose which, fortunately, isn’t hard to obtain. Studies show that glucose enhances memory in mice and in people of various ages, including people suffering from Down’s syndrome and Alzheimer’s disease. Your brain works best when your blood glucose level is steady. That means you should avoid sugary foods, which can cause blood glucose spikes and crashes, and get your glucose from complex carbohydrates with large amounts of fibre. 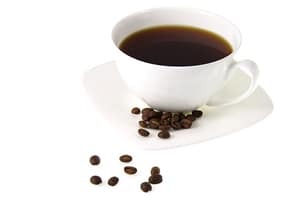 Research shows that a high caffeine intake is associated with improved performance on incidental learning tests, in which subjects aren’t told their memories are being tested. However, it does not seem to improve performance on intentional learning tests, in which subjects deliberately try to remember things. Caffeine is known to reduce reaction time and to have a positive effect on mood. Caffeine appears to have a neuroprotective effect. Research on mice suggests older people who have some caffeine every day could delay or reduce their risk of developing Alzheimer’s disease. Dark chocolate not only contains caffeine – it contains antioxidants called flavonoids. Research shows that flavonoids increase blood flow to the brain, prevent nerve death caused by free radicals and promote brain plasticity. Studies using rats show that flavonoids could prevent cognitive decline in the elderly and decrease the risk of developing Alzheimer’s. Iron is used to create haemoglobin, the protein in red blood cells that transports oxygen to the brain. The richest and most bioavailable sources of iron are lean meat and fish. Iron found in vegetables, nuts and beans have a low bioavailability. Vitamin B1, or thiamine, helps your body break down carbohydrates to produce glucose. 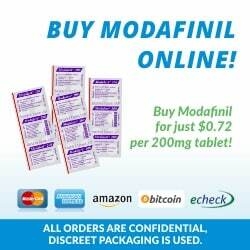 It also plays a part in the creation of acetylcholine and GABA, another neurotransmitter. Good natural sources of thiamine include pork, rice bran, wheat germ and sunflower seeds. Vitamin B3, or niacin, is used to create nicotinamide adenine dinucleotide (NAD), which plays a role in signalling between cells. Low levels of niacin are associated with age-related dementia. Niacin can be found in dairy products, eggs, fish, lean meats, legumes, nuts and poultry. Folic acid (vitamin B9) is important for proper brain function. Low levels of folic acid are associated with depression, dementia and symptoms of schizophrenia. You can find folic acid in dark green leafy vegetables, legumes and citrus fruits. Vitamin B12 (cobalamin) is used to form blood cells, create neurotransmitters and maintain the myelin that surrounds nerves. It’s essential for nervous system function. A lack of enough Vitamin B12 can cause cognitive defects, irritability, paranoia, mania, depression and delusions. Vitamin B12 deficiencies in the elderly are associated with dementia. Vitamin B12 is produced by bacteria found in the guts of animals. Therefore, the only natural sources of Vitamin B12 are animal products. It can be found in most animal products, including eggs and dairy products. 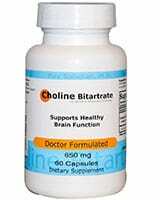 Choline, considered a B vitamin, is used to make acetylcholine. Before birth, it plays an important role in the growth of the hippocampus, the region of the brain that controls memory. Studies in rats show that exposure to choline before birth improves memory and helps prevent age-related memory loss. Supplementation with choline after birth prevents the development of cognitive problems after exposure to alcohol while in the womb. 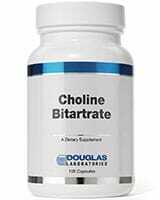 In people, high levels of choline intake are associated with improved performance on memory tests, while low levels are associated with brain atrophy. 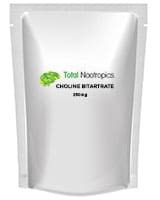 Eggs, milk, liver and peanuts are high in choline. Amino acids are the building blocks that make up proteins. Some have an effect on cognition. L-carnitine has been shown to prevent memory loss in rats with hypoxia and to improve symptoms in elderly patients with dementia. The best sources of l-carnitine are meat, fish and dairy products. L-tryrosine is used to make the neurotransmitters dopamine, epinephrine and norepinephrine. It can be found in high protein foods, particularly turkey, chicken and pork. Mammals can make l-tyrosine from the amino acid l-phenylalanine, which is also found in foods high in protein, including beef, pork, poultry, eggs and dairy products. A number of different herbs show evidence of being cognitive enhancers. Amla, or Indian gooseberry, has neuroprotective effects. Black maca improves memory and learning ability in mice and restores memory in mice given alcohol. Curcumin is neuroprotective and has been considered as a treatment for Alzheimer’s disease. Ginger improves memory in mice with scopolamine-induced memory deficits and in rats with memory loss caused by alcohol withdrawal. 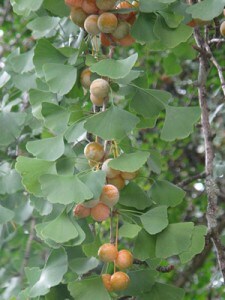 Ginkgo biloba has neuroprotective and neurorestorative effects in rats. Some research suggests it could prevent cognitive decline and dementia in the elderly. Guduchi enhances learning and memory in rats and reverses memory deficits in rats given cyclosporine. Guggulipid, the gum of the guggul tree, has been shown to have neuroprotective effects in diabetic rats. Research shows that magnolia bark extract prevents neuroinflammation and could be used to treat Alzheimer’s disease. Sesame oil has been shown to protect mice against cognitive defects caused by beta-amyloid protein injections. Shankhpushpi extract improves learning and memory in rats and reverses scopolamine-induced amnesia. Research shows Spanish sage enhances memory and might be an effective treatment for Alzheimer’s disease. Originally posted on September 10, 2014, last updated on December 2, 2018. Hi I have no searching for Spanish sage either dried or seeds to grow for many years without success, any hints? Is there a combination supplement that can be bought to incooperate all or most of the above mentioned natural cognitive enhancers namely the vitamins and aminoacid and herb combo? Very overwhelming and confusing to work out what to take as there are so many. Also want to know what recommendation for a 12 yr old with a severe language disorder and autism in his first year of highschool needing something to enhance concentration, attention, memory and as a mood stabiliser?